You'll also find accessories at the shop, as well as toys, gifts for parents, and a great range for premature babies. I absolutely adore these cute Russian matroyshka dolls filled with lavender - so calming. And shipping is only $7.50 Australia-wide. Please stop by La Toriana to check out the goodies for your baby shower gifts, or something special for your little one. 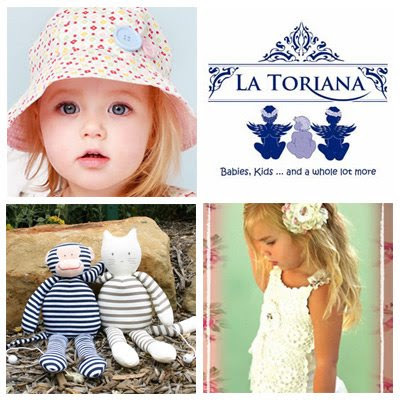 You can sign up for a newsletter, and keep up with trends at the La Toriana blog.